There are no wetlands without water and at national, state and landscape level, Field & Game Australia has to represent hunters in an increasingly complex environment. 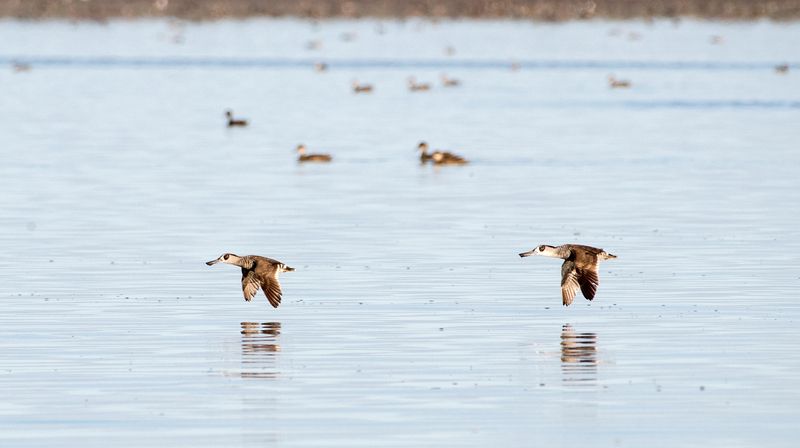 In coming months, as members fan out to scout and contribute to annual waterfowl surveys, the same conversation will appear repeatedly on social media. Looks great now, but will it hold water for the 2018 Duck Season? The reality for so many wetlands is that they are at the whim of Mother Nature and a hot dry summer will leave little to enthuse about come February or March. We live on an arid continent that has a history of disappointment when it comes to water. Australia has 65 Ramsar wetlands and more than 900 nationally important wetlands. They are important environmentally, absorbing pollutants (wetlands are far more effective at carbon storage than rain forests) and improving water quality, acting as a buffer in times of flood and supporting a diversity of life that in many cases is found nowhere else. With water such a precious commodity, we have invested heavily since white settlement in damming, storing or diverting it to support populations, agriculture and industry. Wetlands remain a valuable social and recreational resource, allowing Australians to spend time in the natural landscape. Water, even if it was available, can no longer flow through the natural landscape. In Victoria, environmental water has been around since the 1990s but by far the biggest shake up of water occurred with the implementation of the Murray-Darling Basin Plan to rebalance water use across the state by recovering 2750 gigalitres for the environment. As of July 31, 2109 gigalitres has been recovered through water buybacks, infrastructure projects and gifted water. Commonwealth Environmental Water Holder David Papps spoke of an adaptive management approach to water across the Basin in an address to the Australian Bureau of Agricultural and Resource Economics and Sciences (ABARES) in 2016. He said the environmental watering program was unmatched in the world for scale and ambition but that it existed in a real-world framework that included a large and prosperous irrigated agricultural community. That framework is a little clearer with the announcement of a 605 gigalitre offset target for environmental water delivery. The Basin states have been arguing that rather than clawing more water back from irrigators, especially through buybacks, the gap could be closed by investing in infrastructure to deliver environmental water more efficiently. The Murray-Darling Basin Authority has put forward a draft target of 605 gigalitres with a final decision to be made in December. These new water projects (36 were put forward by the states) use engineering works such as regulators, pipes and pumps to deliver water to wetlands and floodplains and use water more efficiently. The projects support the health of local rivers and wetlands, protect and restore red gum forests, provide better breeding conditions for waterbirds and improve habitat for fish, turtles and other animals. “Victoria does not support further buybacks and had pushed for the offsets to be as high as possible, so our communities are protected from further water buybacks,” Victorian Minister for Water Lisa Neville said. 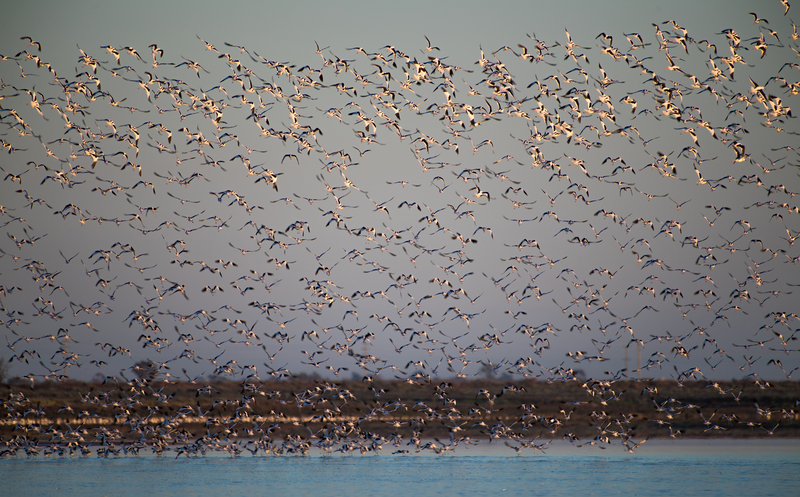 The outcome will inevitably be a more regulated and complex framework and FGA will need to continue to be active at all levels as a voice for wetlands. Water and habitat are necessary priorities and it isn’t as simple as water equals habitat equals ducks. • monitoring — ecological health, improved biodiversity, breeding success and predator control. We contributed to an independent review of how effectively Victoria’s Ramsar wetlands are managed and were pleased when the Victorian Government announced $2 million over three years to be spent on better protecting Ramsar wetlands, through improved monitoring and management. A further $3.5 million over three years will be spent on recognising the recreational values of waterways and providing better information to users. This followed a submission we made on the Water for Victoria Discussion Paper, where we discussed the recognition of hunting as recreational use, and recommended more frequent and transparent communication. We are also acting at the regional level and are close to announcing a Memorandum of Understanding with the North Central Catchment Management Authority recognising our common interests and aspirations for the proactive management of State Game Reserve wetlands within the north central region of Victoria, and to describe how the parties will work together to achieve these aspirations. This is a partnership approach to managing State Game Reserve wetlands through co-ordinated planning and management designed to maximise shared benefits, and preserve and optimise environmental outcomes. Water has become a multi-layered and complex issue across the Murray-Darling Basin but in the pursuit of healthy wetlands and habitat, we have to remain engaged and ever present.